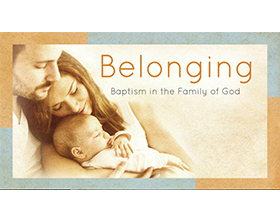 You are invited to join us for Belonging: Baptism in the Family of God, an incredible encounter with Jesus and the Church that explains how we become sons and daughters of God. These Baptismal preparation sessions are held the second Saturday of every month (August-June) from 1:00 - 2:45 pm in the St. Maria Center. Both parents presenting a child for Baptism (if both are Catholic) are required to attend. Godparents are also encouraged and welcome to join us. Upon completion of the session, you will receive a certificate as proof of attendance which is valid for TEN (10) years.